Due to the tragic hospitalization of Vinx that we reported a few days ago the duet tour was cancelled. We managed to save one performance as a soloshow: the 5th April at the A-Trane in Berlin. Unfortunately Vinx has been hospitalized. This of course means that the tour we had booked will not happen, except for the show in Berlin on the 5th of April, where the club, A-Trane, agreed for a solo Hellborg performance instead. Let our thoughts be with Vinx De’Jon Parrette with the hope of a quick recovery. 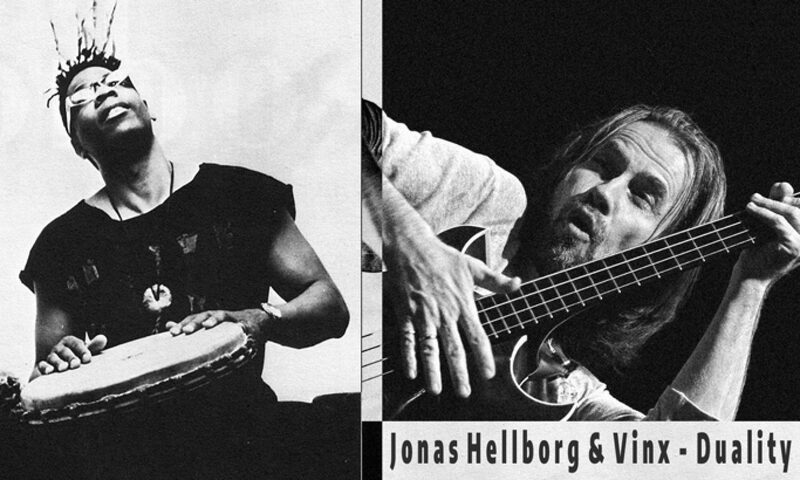 Jonas Hellborg continues his Duality series in cooperation with singer/percussionist Vinx, a truly unique voice with a long history of remarkable music making!